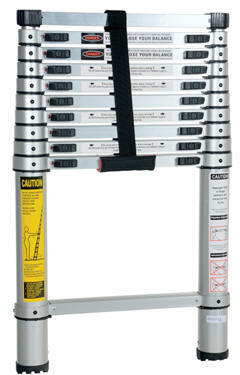 Our Engine Access Maintenance Ladder Cantilever Design comes with Low Profile Legs Industrial Manlifts 888-730-8377. 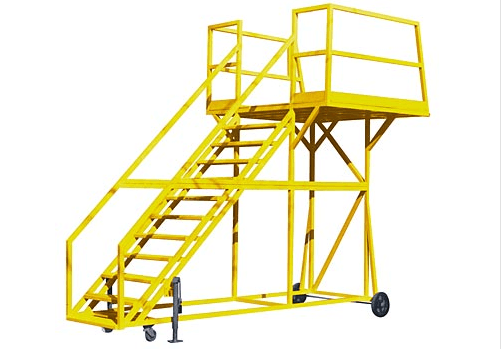 C1 maintenance platform has a 4′ x 7′ work platform that can be positioned to any height in its range by means of its self-contained hydraulic system. The modern aircraft is an incredible feat of human ingenuity. Airplanes, both large and small, offer us the chance to travel faster and further than at any other point in human history. In order to arrive at your destination safely, however, an aircraft must be properly maintained with regular inspections and routine repairs. 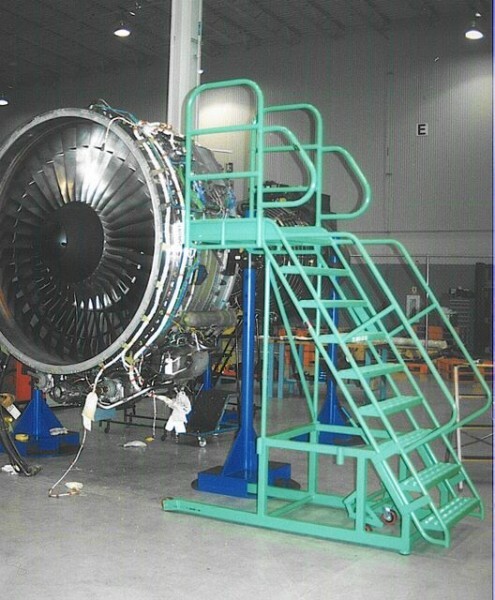 If you're looking at these products, then your team likely provides these inspections and repairs, which means you already know the benefits of having a high quality aircraft ladder available. 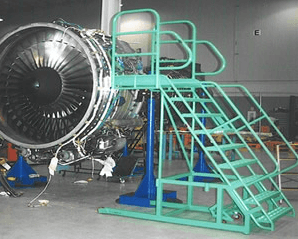 Aircraft ladders come in many different shapes and sizes because there are a variety of needs which must be met on the modern aircraft. 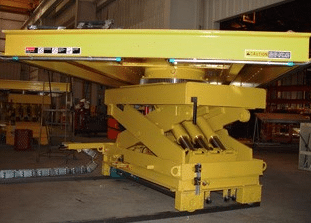 Whether you need to de-ice a wing, access an engine, or need a portable maintenance platform, you'll find that specific equipment designed for the task at hand will provide you with the safest and most effective platform to get your work completed in a timely fashion. 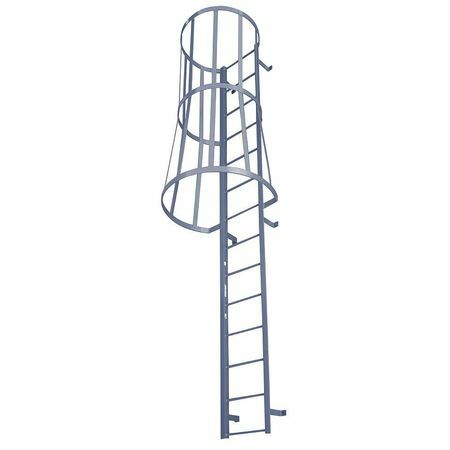 You'll find a wide variety of aircraft ladder options are in-stock today so you can meet those needs. From the simplicity of a telescoping ladder to the comprehensive needs of customer boarding stairs, you can have the all-purpose solution you want with a standard aluminum stepladder. 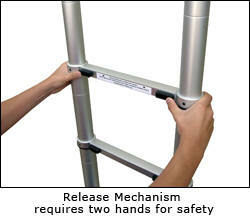 You can also have the specific solution your tasks demand, such as with a fuselage ladder. 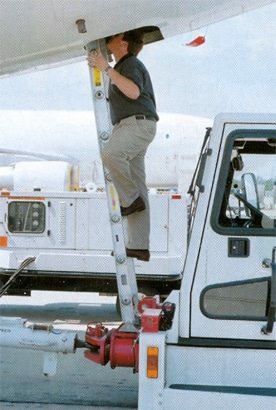 No matter what your aircraft ladder needs might be, you will find that the solutions offered here are for a price that is fair and competitive. We also offer custom solutions that can fit the unique needs that you may have. 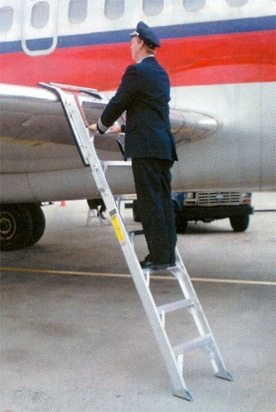 Aircraft ladders are designed to give you the safe access you need. They help you board the aircraft, perform maintenance tasks, or inspect it with care so that every flight can be completed safely. Get the ladders you need today and you'll be able to ensure that the skies stay as friendly for flying as they have been for more than a generation.